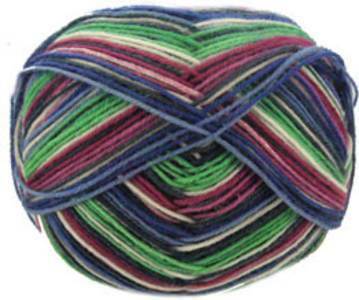 Regia Design Line 4 ply sock yarn 4483 Brilliant by Kaffe Fassett from the Regia Ombre Stripe range. 50g balls (210m). in a rich self-striping colourway. 2 balls required for average adult socks.